I don’t know how many of you recall Paul Harvey, a folksy radio personality whose career began in the 1930s and continued into this century. “And now you know the rest of the story,” became his trademark on completing a tale after intermissions for advertising. Knowing the rest of the story, what goes on behind the scenes, has always captured my wondering interest. I hate it when I’m left hanging, which is exactly how I felt after neither myself nor my readers, could identify the model of car that sits as an icon to Route 66 off Interstate 40. Now I know, thanks to bloggers Brian and Shannon at: http://everywhereonce.com The two of them are wanderers like me. I’ve accused them of following me around, but then they could say the same of me. It’s quite fun, actually, to read their take on places I’ve also visited. 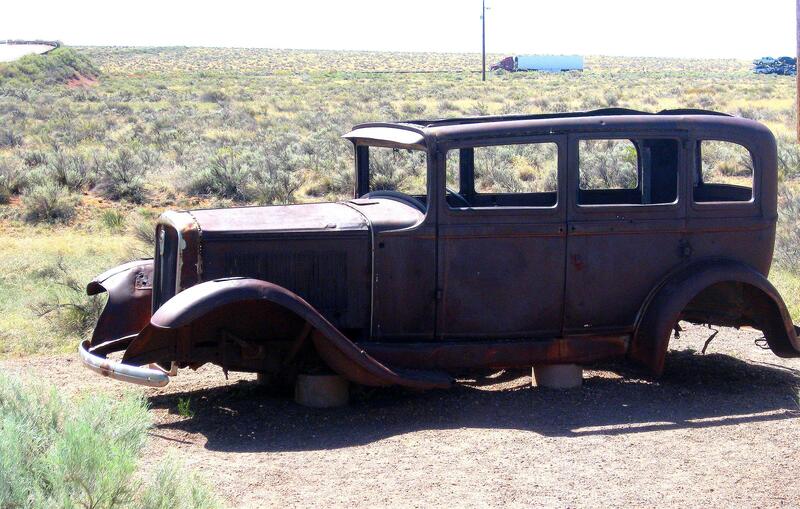 Today, their blog is about Petrified National Forest, which I visited in May. Like me, they mentioned the same glorified clunker that sits in the park as a memorial to Route 66 , which still passes through the forest. The big difference in the two blogs is that my May 24th post didn’t identify the make and year of the vehicle – and theirs does. I truly should have known, especially since it was a 1948 Studebaker convertible in which I learned to drive. 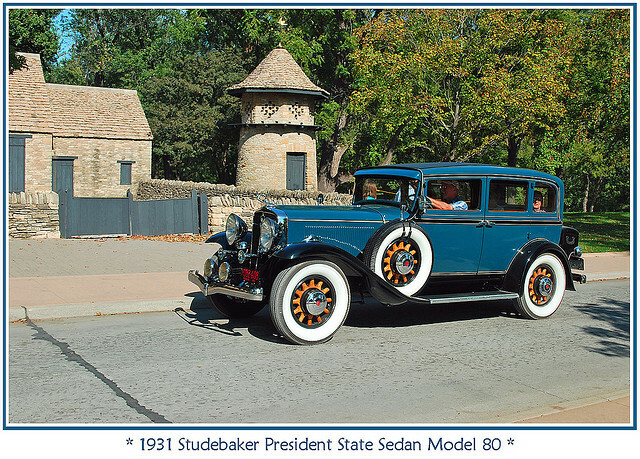 Of course that model and the rusted remains of the 1931 Presidential Series Studebaker that sits in the Petrified Forest have little in common. Anyway, Now I know the rest of the story and will sleep better. Perhaps there are other wondering minds out there who will also sleep better now, too. Bean’s Pat: Colors of the Rainbow http://tinyurl.com/cdw7omj Fantastic photo taken in Yellowstone National Park. It touched my nature-loving soul. Blog pick of the day from a wondering wanderer.